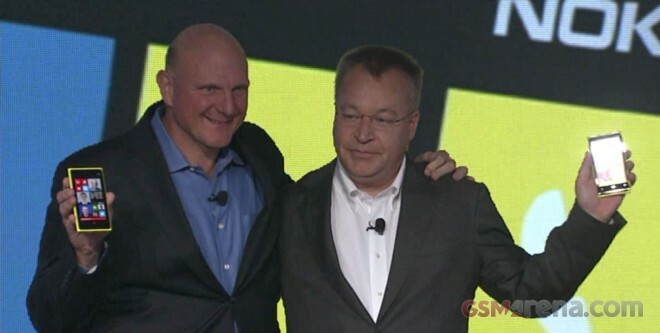 The joint Nokia/Microsoft announcement today is over. We saw the unveiling of the Nokia’s new Lumia 820 and Lumia 920. What we didn’t hear however, is when these devices will launch – along with Windows Phone 8 as a whole. Or did we? Microsoft’s CEO, Steve Ballmer, dropped by to share his thought on the direction Windows is going in and the role Windows Phone 8 plays in that. And while speaking about this he mentioned the following. With Windows Phone 8 we’re first seeing the hardware. [...] Over the course of the next month or two, we’ll see the rest of the Windows Phone 8 software. One thing’s for sure, Windows Phone 8, and the phones coming with it, will be out in the market before the holiday shopping spree. Microsoft and its partners timed that quite well, but we are yet to see what Apple is going to pull out out of its hat next week.